When we talk about strength training, a lot of people think of bronzed bodybuilders and bulging muscles, while this is mainly achieved through weight training, it is an extreme example! What a lot of people don’t realise are the many benefits that strength training can offer as we get older, including halting the ageing process of our bodies. Many people are stuck in the way of thinking that getting older means experiencing an inevitable physical decline. 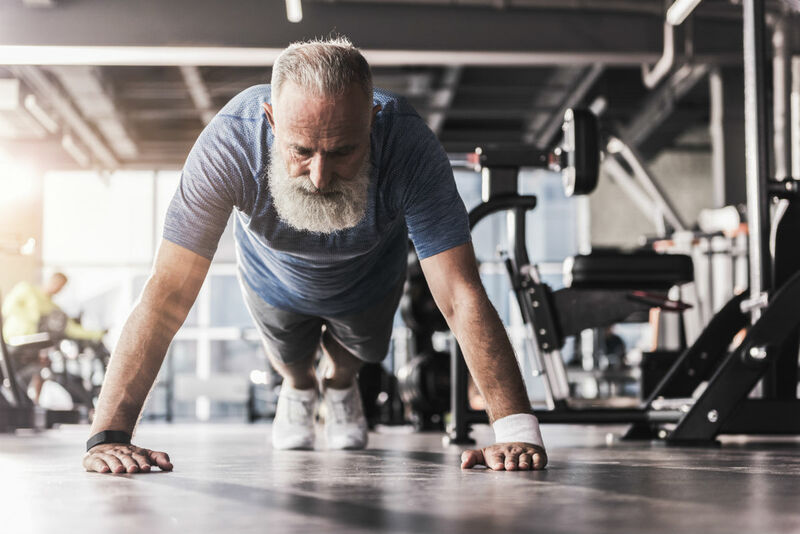 To a certain extent this is true - most 60 year olds aren’t going to run a 3-minute mile or lift 50kg weights, but research suggests that older adults can continue to stay strong and healthy with regular exercise, especially strength training. Unfortunately we are of the mind-set that strength training is something we can no longer do as we get older, but this couldn’t be further from the truth. Recent research has found that after the age of 40, people typically lose 8% or more of their muscle mass every ten years, but losing strength as we get older is not inevitable. In fact, it was observed that competitive cyclists and swimmers in their 70s and 80s were about as strong as they were in their 60s. Even with decreasing muscle strength in their legs, the process of losing muscle can be significantly slowed with good exercise and strength training. Weight training as you get older can become a bit more challenging as you might not be as flexible as you once were, or you might have a few more aches and pains, therefore you need to take a sensible approach. When beginning your strength training programme, look at doing simple exercises which can be performed while sat down. This ensures that the stress from the resistance works the target muscles more completely so the risk of injury to joints and other body parts is reduced. The best exercises to start with use simple, two-part motions that move a minimum amount of joints. In the strength training area of the gym look out for machines to perform arm curls, bench presses, leg curls, leg presses and shoulder presses as a great starting point. These straightforward exercises work many of the main upper and lower body muscle groups. As your body adapts to the new exercise regime and you progress further, work towards incorporating more complex exercises in to your programme, such as lat pulldowns and triceps pushdowns. By splitting your routine in to upper and lower body workouts you will avoid over-taxing yourself and reduce the likelihood of an injury. Take your time when performing your strength exercises, they should be done slowly and methodically. Trying to rush them or erratic movements could result in muscle and joint injury which can take a long time to recover from. It’s also important to start off using a low level weight until you’re completely comfortable performing the exercise. The idea isn’t to push your body to the limits as this will only mean you’ll end up with an injury or your body will require more recovery time to regenerate. Rest between strength training is equally important. Ideally you should be looking to rest two days in between each workout session for a particular muscle group to allow your body to recover ahead of your next session. Aim towards incorporating weight training in to your routine twice a week, in sessions lasting between 20 - 30 minutes. One or two exercises for each muscle groups should be enough to be beneficial. The muscle groups are as follows: legs, back, shoulders, arms, chest and abdomen. For each exercise, two sets of 8-10 repetitions should be enough to start with, but as fitness levels differ this should be adjusted accordingly. Remember, you should always feel comfortable while performing each exercise. 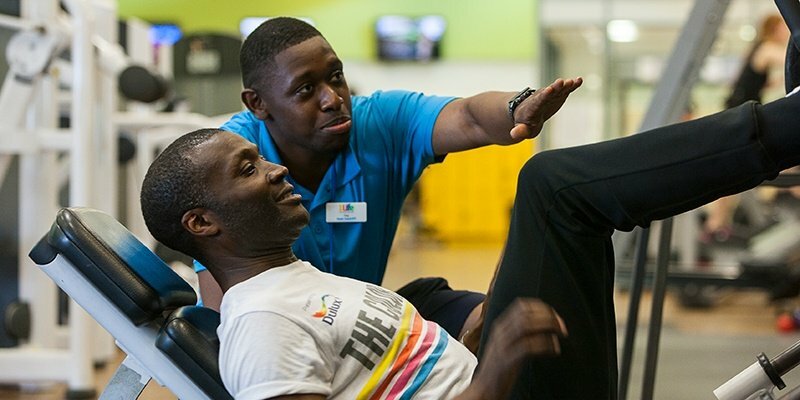 If in doubt ask a personal trainer at your gym to put together an exercise programme for you. They’ll also be able to check your technique while performing each exercise to make sure you’re getting the most out of your session, safely. Here’s an example of what a full-body, strength training workout will look like. For more information please call into see and speak to a member of our local 1Life fitness team.